During fasting month, there are some people that like to spend their afternoon –waiting for the time to open the fasting of the day- by hanging out at anywhere. 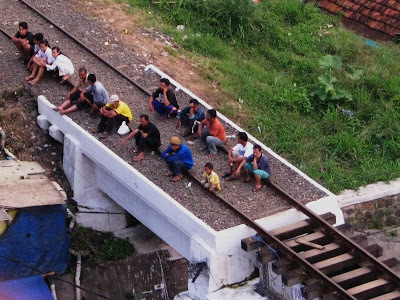 In these pictures, those people seem to like waiting on the rail train. 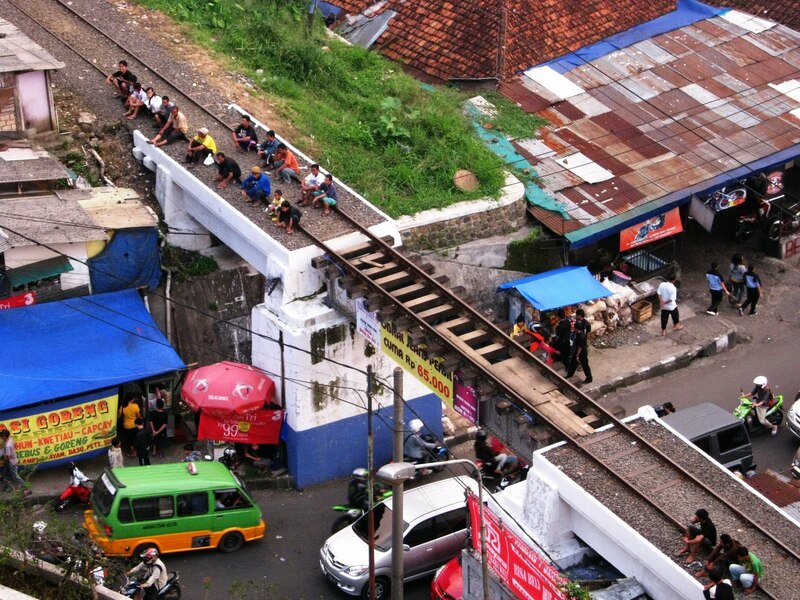 For me, it’s an unusual place; but for them, perhaps it has become their daily habits. I captured the moment from the 3rd floor of Bogor Trade Mall (Bogor, West Java, Indonesia).